Thanksgiving is here! So many of us are thankful for our pets! While you get prepared to spend time with family and express gratitude for all the blessings in your life, make sure you take steps to protect your furry blessings. Sage and other herbs that you may include in your meals have essential oils and resins that can upset a pet’s stomach if eaten in large enough quantities. Cats are especially sensitive to the effects of certain essential oils. Or your turkey. Many pet owners give a taste of the turkey to their pets. 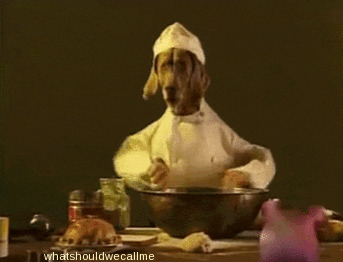 Just make sure it’s cooked thoroughly before giving your pet a taste, so any salmonella bacteria are destroyed. Avoid bones, as well, as these can splinter and cause internal punctures or cuts. The high fat content of turkey can lead to pancreatitis, so only give very small portions of the meat, or -better yet- stick to treats! Don’t give your pet fatty parts of meat. Oops, I meant “dough.” Don’t give your pet any raw bread dough. According to the ASPCA, raw dough can rise from the body heat in an animal’s stomach and cause vomiting, severe pain and bloating, and it can even become an emergency. Don’t let your pet get his paws on cake batter, either. If it has raw eggs, it could have salmonella bacteria, just like undercooked turkey. If could also upset your pet’s stomach with all the other rich ingredients your pet is not used to. Plus, there won’t be enough cake left for all your guests! A little taste of some potatoes or turkey should be no problem, but don’t let your pet have too much! A tiny spoonful from you, then one from your spouse, your kids, the bowl cousin Barty left unattended while checking his instagram… it adds up. Too much of unfamiliar foods can cause painful digestive problems. High-fat foods, including turkey, can even lead to pancreatitis in large quantities, which can be deadly. If you’re concerned, it’s best just to stick to your pet’s normal diet. Some pets really could use some quiet time to get away from the stress of so much stimulation. Family members, kids, music, tv’s, a huge number of smells – all this sensory information can be overwhelming for some pets. Have an area set aside that is quiet and safe, and watch for stressed behavior. No, it doesn’t have to be a breadbox! At least, it is in your pet’s mind. Be aware of opportunities your pet may have to get into the garbage for all those interesting smells. You can bet they are looking for them! At Winslow Animal Hospital, we’re thankful for each one of you that loves pets as much as we do! Have a safe and happy holiday.